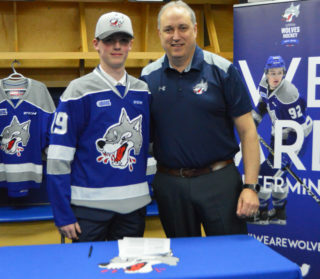 (Sudbury, ON) The Sudbury Wolves are pleased to announce that Marshall Frappier, the team’s 6th round draft pick from the 2017 OHL Priority Selection has signed a Standard Player Agreement with the hockey club. 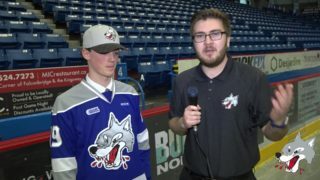 Frappier, born and raised in Nepean Ontario, was the first goalie selected by the Wolves in the 2017 Draft. 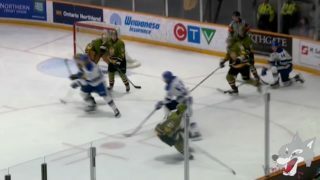 During his 2016-17 campaign, Frappier was selected for the Hockey Canada Program of Excellence Goaltending Camp for Under 17 prospects, recognition of the top goalies in the country. 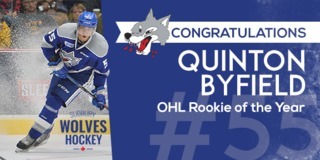 He also participated in the Under 17 World Hockey Challenge for team Canada White posting a 2.83 GAA and a .900 SVS%. Playing on the Nepean Raiders last season, Frappier was named to the CCHL All-Rookie team. 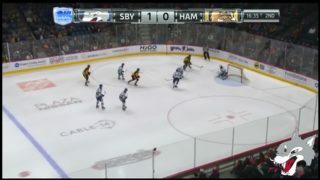 The Wolves scouting staff identified Frappier as a goaltender that has good quickness and gets square to the puck leaving little for shooters to aim at. 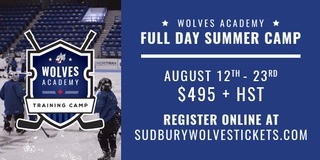 Fans will have their chance to see Marshall in action as he will participate in the Sudbury Wolves training camp starting September 1st, 2017.